At Dockercon '16 in Seattle last June Docker released a complete re-think on their orchestration offering called Swarm. Swarm has been gaining momentum and key features ever since. You can read more about Dockercon in Seattle in my Dockercon 2016 speaker notes. My first tutorial on the new Swarm offering (also called Swarm Mode) was written and tested with a pre-release candidate of Docker. I wrote this the night before the official announcement in Seattle. It's still as relevant today as it was last year. Get started in 5 minutes. My second tutorial on Swarm mode focused on a small microservice written in Node.js. If you're wondering how to get started with Node and Swarm then you will find everything you need here. 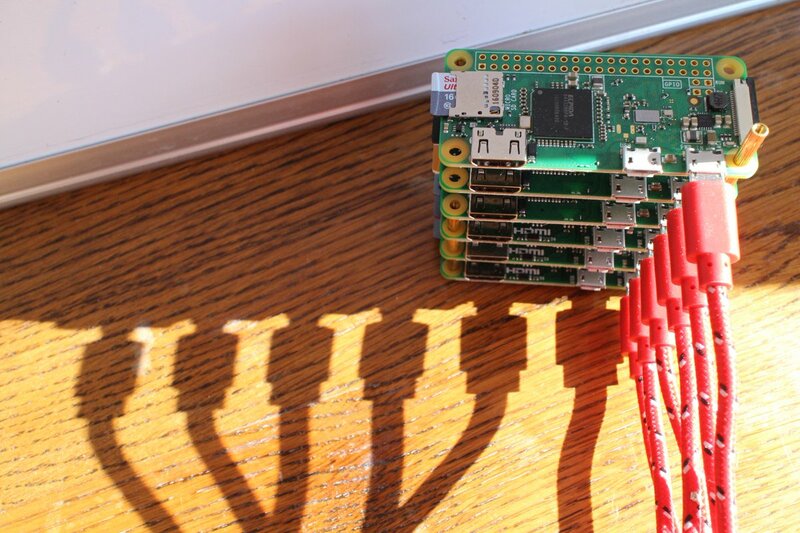 Installing Docker on a Raspberry Pi has never been easier. The Raspberry Pi foundation covered Docker on their official blog earlier last year and this generated a lot of interest in Swarm on the Pi. The Raspberry Pi is effectively a very cheap, networkable PC and whatever applies to a PC or cloud server can normally be run on a Pi too. The Pi is an accessible platform for teaching and demonstrating distributed computing. In this blog post I go into deeper detail on how to set up your RPi swarm and how to test different aspects of inter-container communication. The video uses a set of tests that cover everything from scaling to inter-container communication via DNS. Healthchecks are an essential feature for deploying your production application. They provide a way for your container to check itself periodically. Swarm's self-healing mechanism can then intervene and help resolve issues automatically. Swarm now provides a built-in and secure method to manage confidential secrets, tokens and keys. This blog post goes into detail on how to apply secret management to an integration with a real-world service. Don't miss out on announcements, reviews, tutorials and blog posts. Fill out your email below or subscribe with the Feedly blog reader. Multi-stage builds are a game changer for CI/CD pipelines that rely on containers. Find out how to ship leaner images spending less time doing it. Functions as a Service (FaaS) is an easy-to-use framework for doing serverless with Docker. It is ideal for integrating with Webhooks and events from third-party or internal services with minimal effort.